New physicians go through plenty of training throughout their years in medical school and residency that some may call extraneous. As a physician going into primary care, I have practiced countless times reading complex imaging and reviewing pathology slides. Although I do find this training at least somewhat pertinent to my clinical field, I wonder why time has not been spent training me and my colleagues on something that we may all have to deal with at some point during our professional lives — a commercial airline medical emergency. Medical schools and residency programs should train medical students and new physicians how to confidently handle an emergency while aboard a commercial flight. A big issue that physicians may face during an in-flight medical emergency is one that should not be an issue at all: Setting up the proper medical equipment for emergency care. Much of medical delivery in hospitals and clinics has been fragmented by medical specialty. Nurses with whom I work are experts in the intravenous placement of catheters. Pharmacists are relied on to prepare medications. Medical assistants know exactly where all the equipment is located our medical facility and how to get it quickly and efficiently. Physicians, including myself, are not nearly as great at any of these tasks as our interdisciplinary colleagues. But when a medical emergency occurs in an airplane and there are no nurses or emergency medical technicians on flight, it is largely up to the physician to set up the most appropriate equipment for the patient’s needs. Even an excellent diagnostician can get sidetracked with this task. Doctor, what meds should I get? Most clinical physicians prescribe dozens of medications every day to treat a spectrum of patient ailments. These physicians also have at least a basic knowledge of available life-saving medications during a medical emergency and know how and where to get it. Up in the friendly skies, however, it’s a different story. I could not find any published surveys on this, but few medical colleagues that I’ve spoken with can name more than a handful of emergency medications that are available on a commercial airplane. I’d like to think that potentially life-saving time spent frantically searching through an emergency medical kit could be better used on efficiently providing such interventions during these in-flight medical emergencies. Doctor, what do you think is going on? Sometimes a patient having a heart attack grabs his chest in agony. Other times, a patient having a heart attack may complain of nausea and vomiting. Ideally, a physician of any specialty that aids a nauseated passenger at a high epidemiologic or historical risk for heart disease will entertain the possibility that a heart attack may be the cause. However, I suspect that this clinical concern does not occur as much as it should in this unusual patient setting. 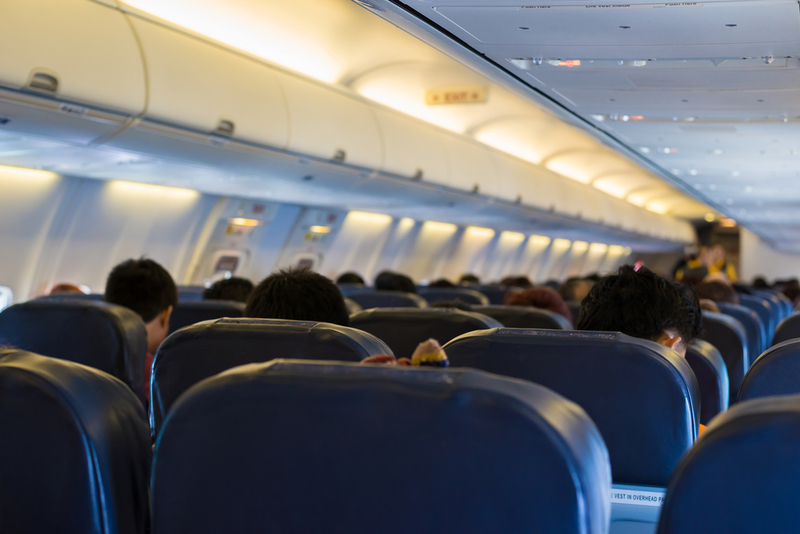 Physicians should be educated during their medical training on both typical and atypical signs and symptoms of common, life-threatening emergencies that may occur in-flight on commercial planes. After a few unremarkable hours of flying, the plane lands and I and the rest of the passengers exit the plane wonderfully unscathed. Hoping to raise my confidence for the next flight, I promise myself I will dig up a few clinical reviews of the management of commercial airline emergencies before the day’s end. This should not have to happen after seven years of intensive medical education. Clinical physicians completing their residencies should be formally trained in commercial airline emergency medicine. This should involve real-time emergency simulations and repeated certification of the handling of basic medical equipment. For the sake of future generations of physicians, let’s do our due diligence as a profession and incorporate structured training in commercial airline emergency medicine to medical education. Brian J. Secemsky is an internal medicine resident who blogs at the Huffington Post. He can be reached on Twitter @BrianSecemskyMD and his self-titled site, Brian Secemsky MD. This article originally appeared in LeadDoc. < Previous post MD? Who cares about that? The virtues of doctoring in a small town. Next post > Will single-payer really reduce administrative waste?